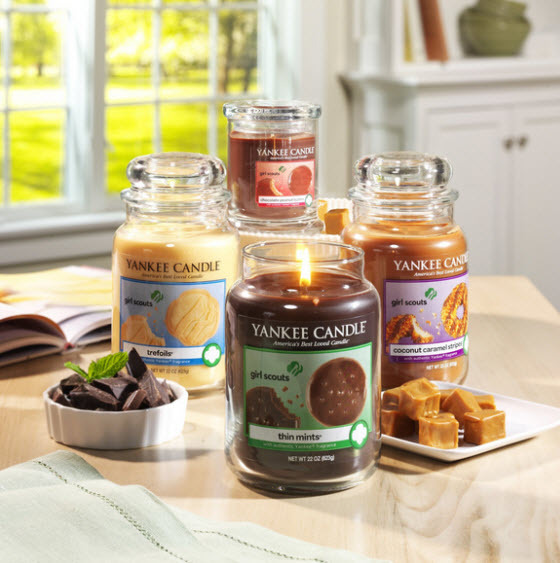 Yankee Candle has launched a line of candles that smell like Girl Scout cookies. The collection comes in four fragrances that match four different Girl Scout cookie types. They include Thin Mint, Trefoils, Chocolate Peanut Butter and Coconut Caramel Stripes. The four fragrances are available as large jar candles for $27.99 and small tumbler candles for $17.99. They are also being sold as air fresheners for you car for $2.99 each. 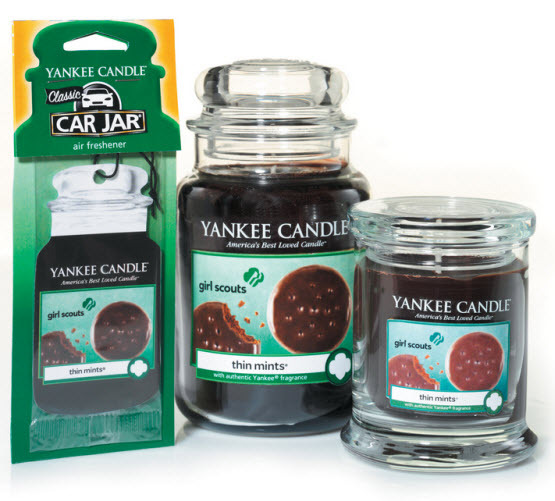 Yankee Candle says the cookie fragrances are in stores now and will be available for a limited time. Thin Mints is our favorite Girl Scout cookie flavor. We imagine have the Thin Mints candle burning would likely making us hungry and want to eat them. Girl Scouts of the USA approved of the cookie scent licensing deal. The candles come during the first year the Girl Scouts has started selling its popular cookies online. The new sales program is called Digital Cookie. Yankee Candle has offered a variety of unusual candle fragrances in the past. Some of these include the MMM, Bacon and Riding Mower candles from its Man Candles line. We would certainly prefer the smell of Girl Scout cookies to the allergy-inducing grassy Riding Mower fragrance.